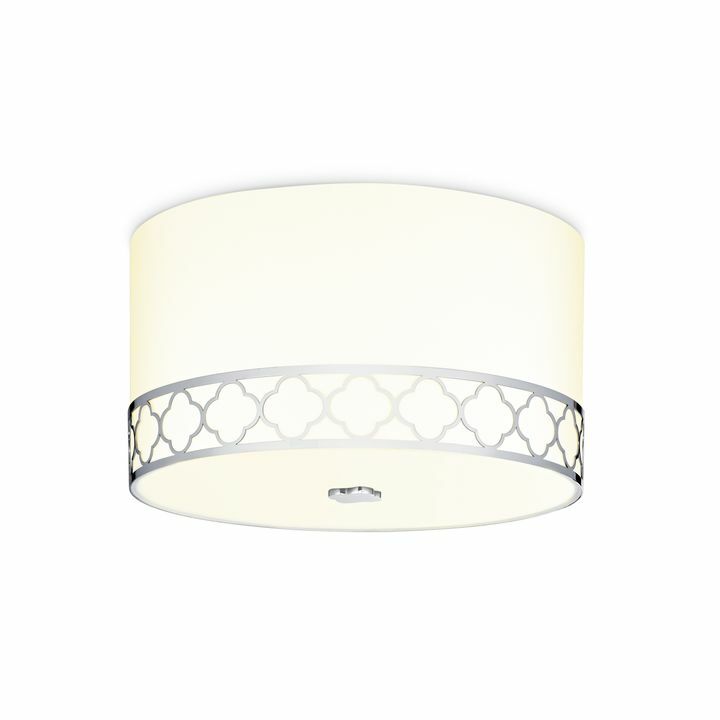 There are only 50 available of the Anja 18" Fabric Drum Shade Flush Mount, Polished Nickel. Your selected quantity has been adjusted. 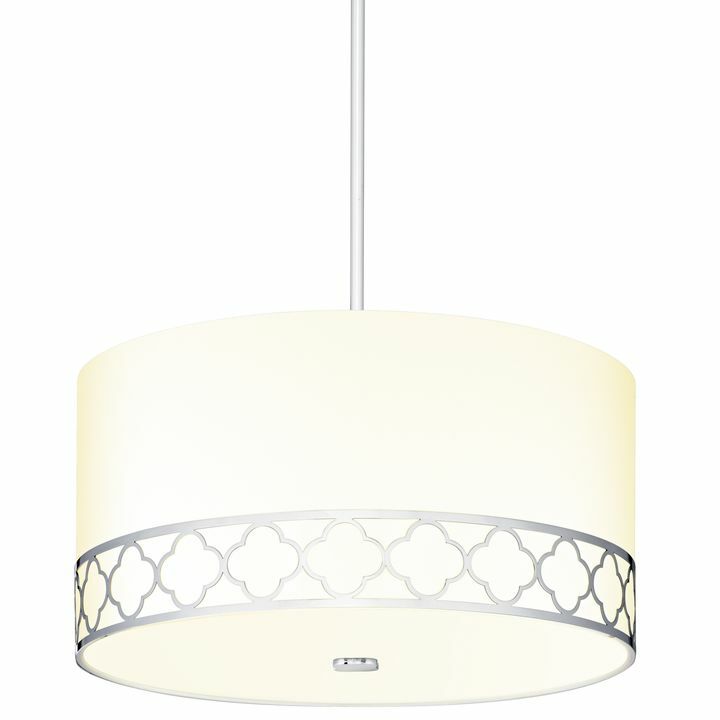 The versatile Anja fabric flush mount provides a warm inviting light with its drum shaped white linen shade. 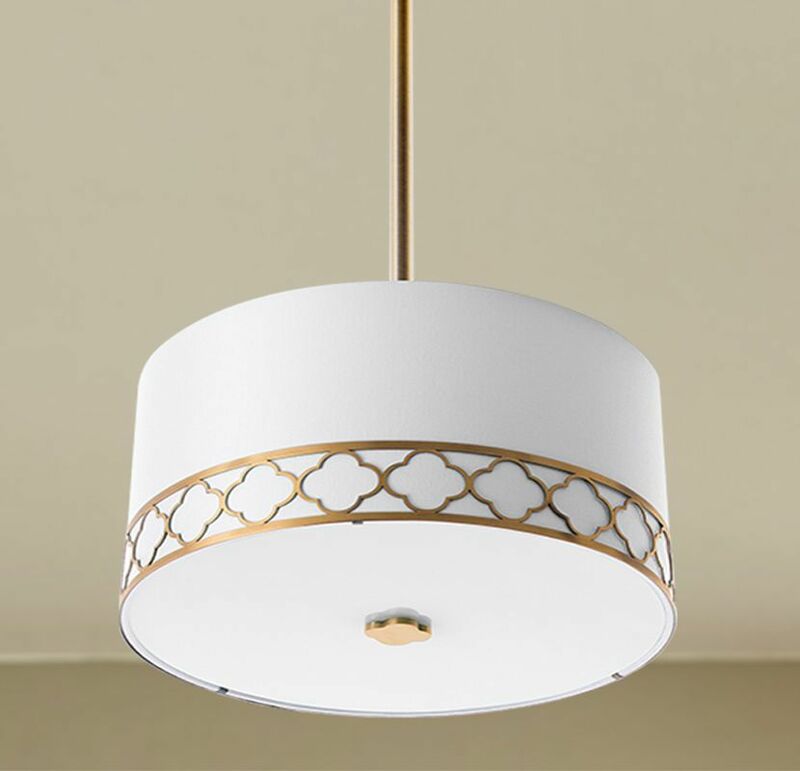 A beautiful quatrefoil design in a polished nickel finish, wraps the perimeter of the fixture elevating its traditional design. 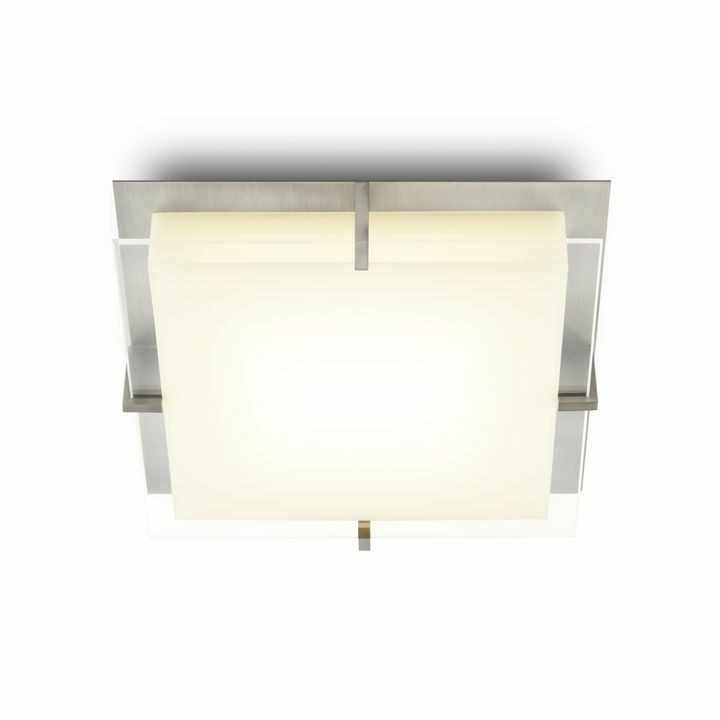 Perfect as a primary light source in a living room, hallway, entryway or bedroom. 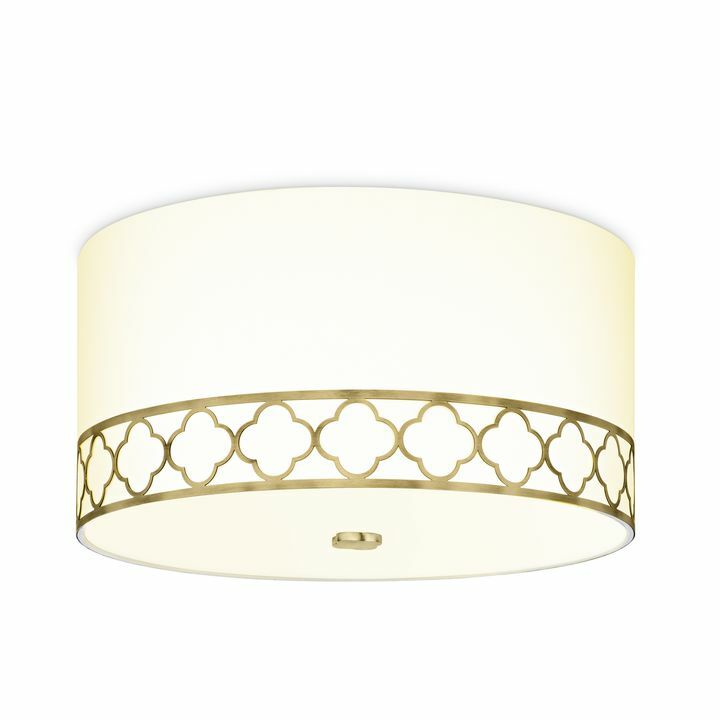 I purchased this fixture for a guest bedroom. It looks as I anticipated it would and looks great in the space. 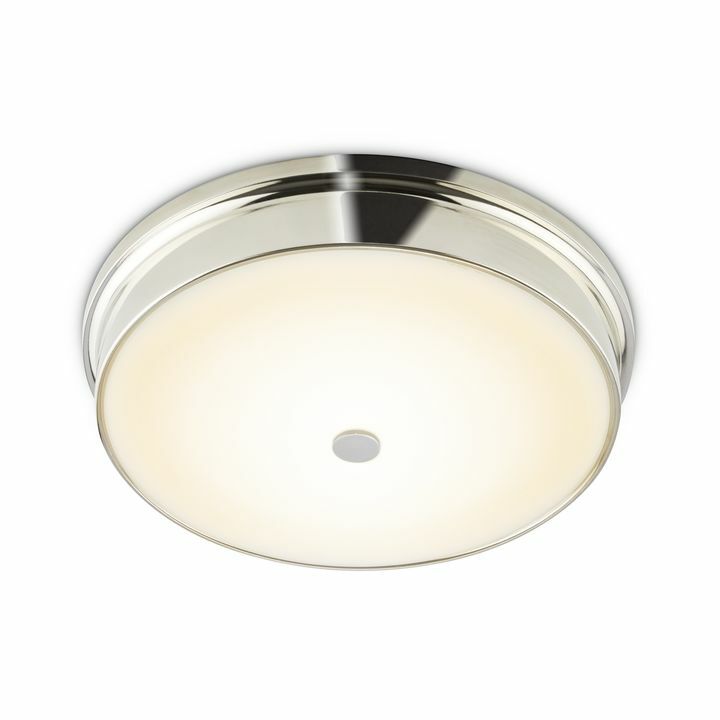 I gave the fixture four stars as there was a blemish in the finial that holds the difuser in place. IвЂ™m the only one that will notice it. Also, I had to add two hooks that hold the shade flush to the ceiling. IвЂ™m not sure if it is the shade or construction but the shade did not sit flush against the ceiling. There is not a way to adjust it so I screwed two hooks in to the ceiling on the inside to pull the shade tight against the ceiling. 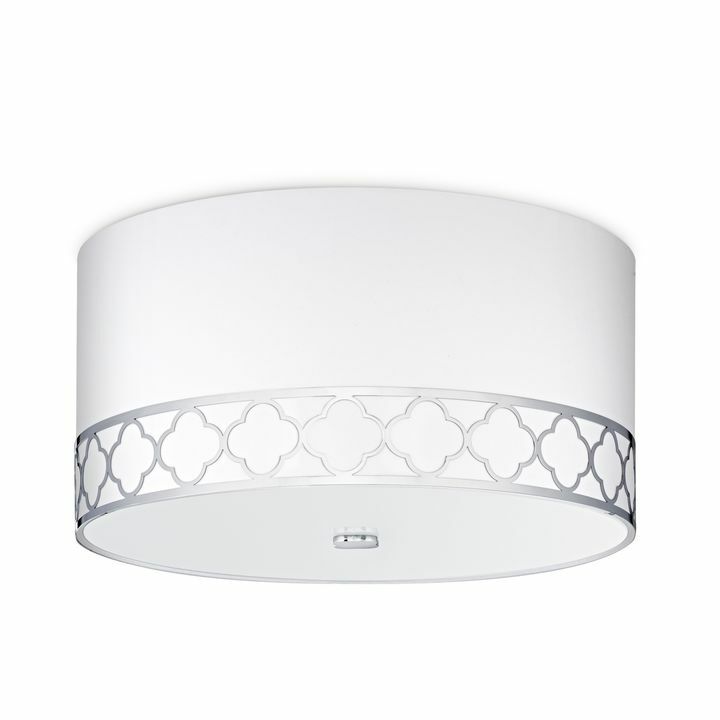 Do I need a professional to install this? How hard is it to assemble? 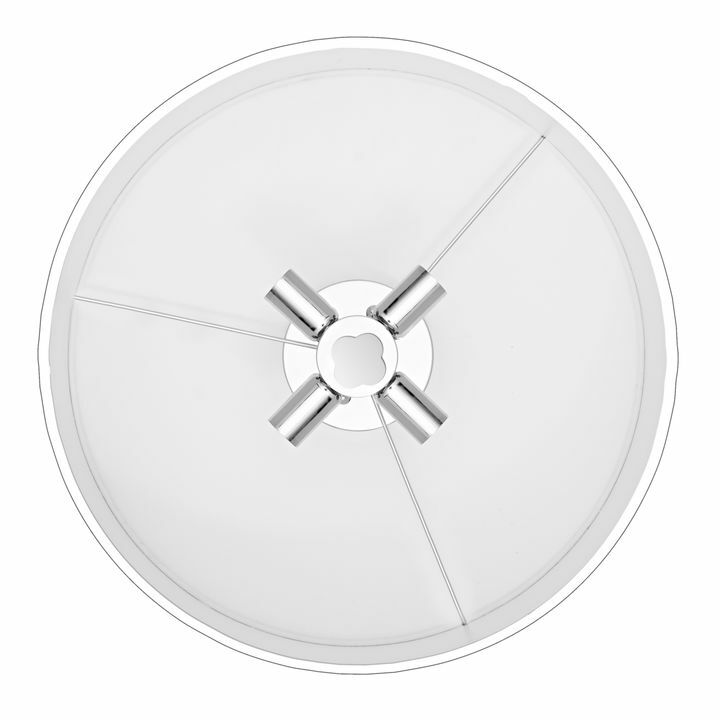 The Anja flush mount comes almost completely assembled, and it comes with very simple instructions so most customers just do it themselves. 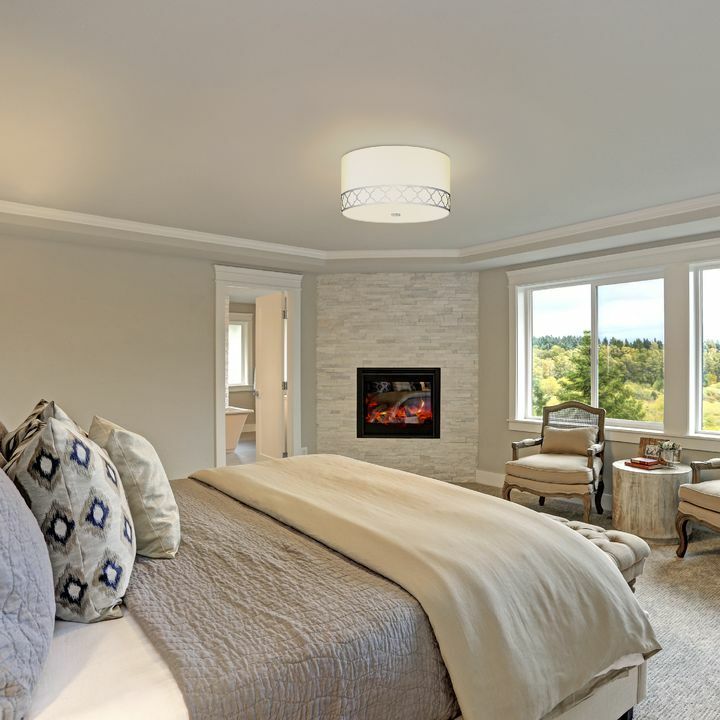 You can preview the instructions by clicking on the Product Specifications tab on this page and then opening up the manual. Let us know if you have any questions about it! We're glad to help. 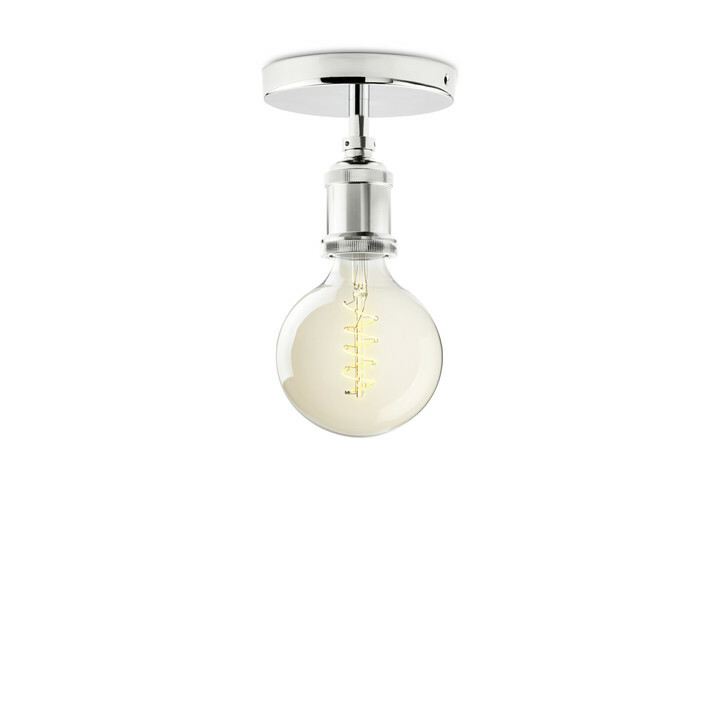 Do bulbs come with it? Are they LED? 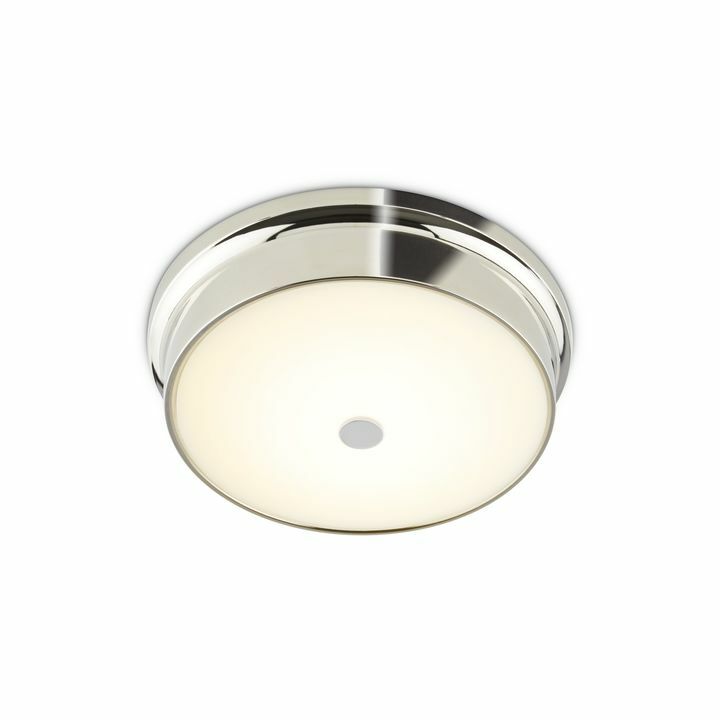 Bulbs are sold separately from the Anja Flush mount. 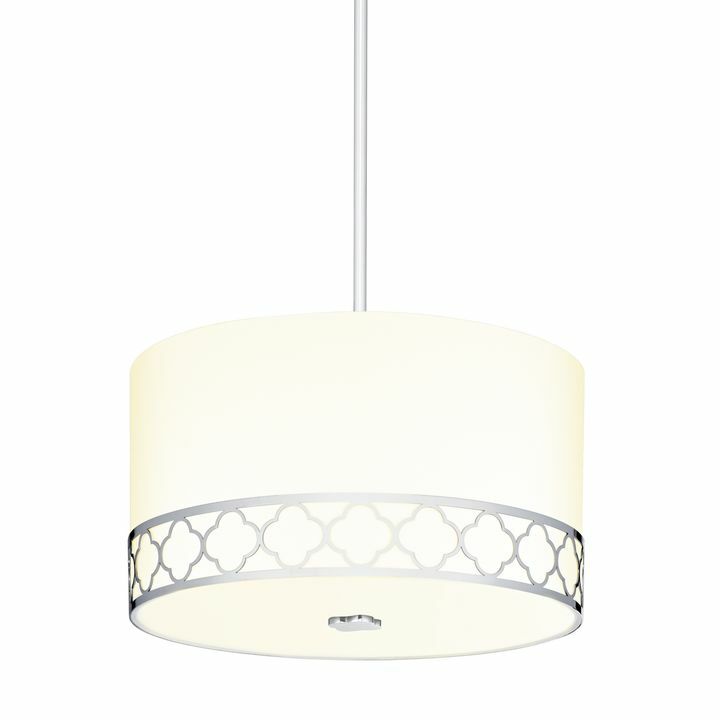 You'll need four bulbs that have an E12 base and use no more than 60W per bulb. 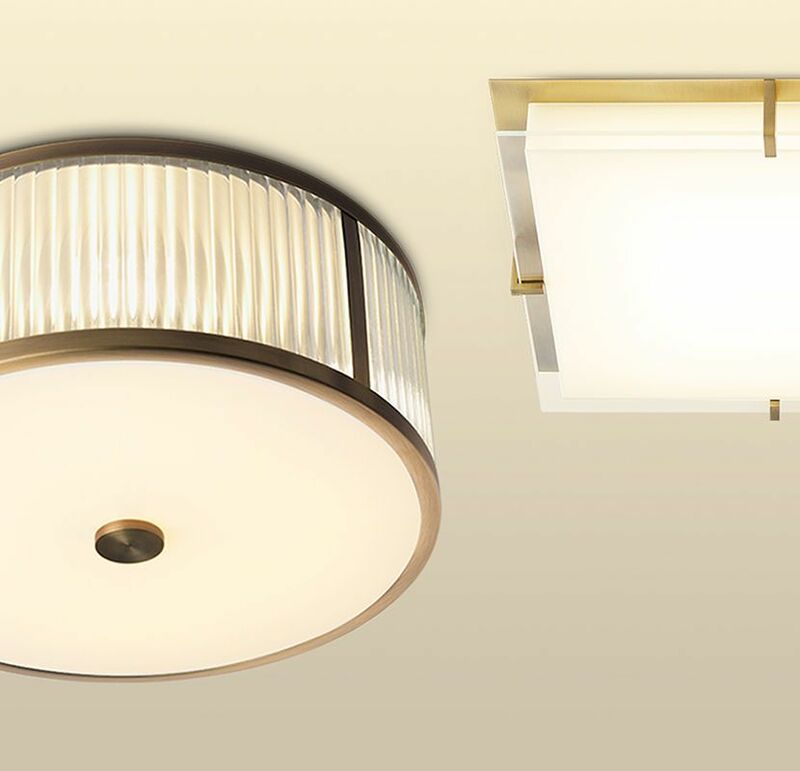 You can use any bulb that fits those requirements, but we recommend the Carlton LED Bulb because it gives off a bright 400 lumens per-bulb, is dimmable, and only uses 4 watts of energy. Is it too big to put in a hallway? That depends on your hallway and your personal sense of design. 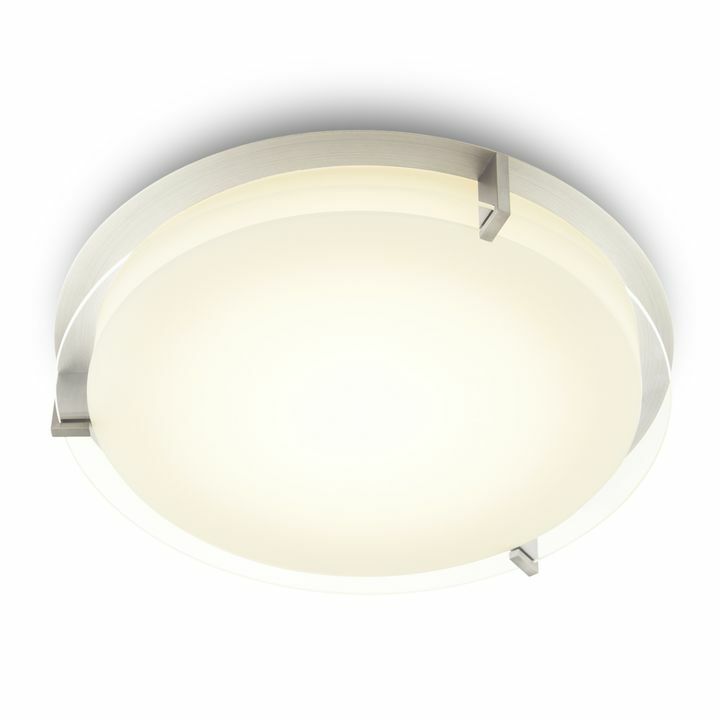 Modern homes with wide hallways would likely have enough space to accommodate an 18" fixture, but if your home is a little older (with more narrow hallways) you might want to go with a 14" Anja flush mount. 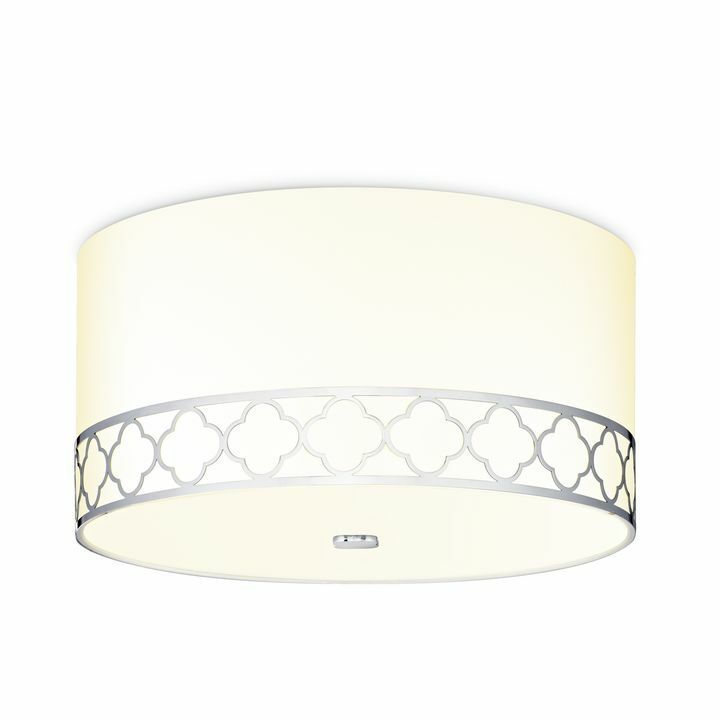 Is this bright enough for a kitchen? 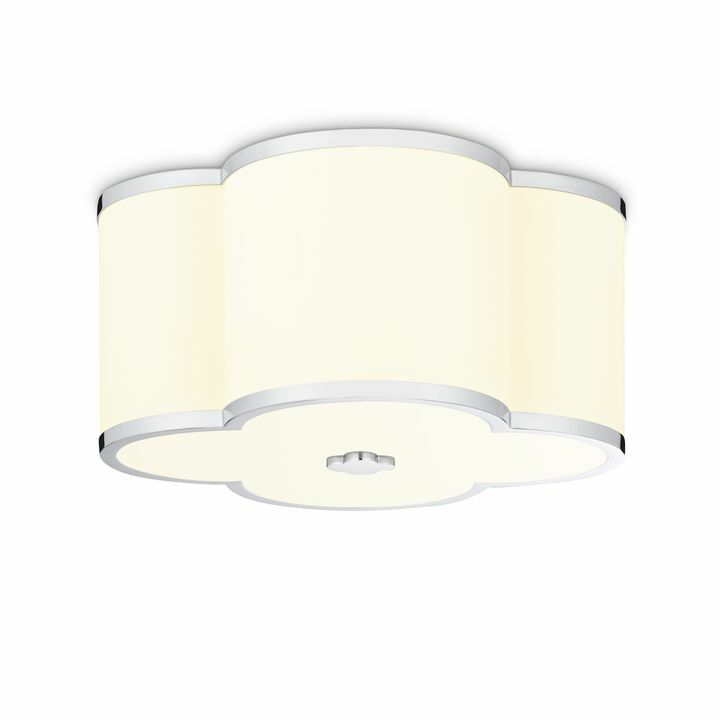 The Anja flush mount can be as bright as you like. 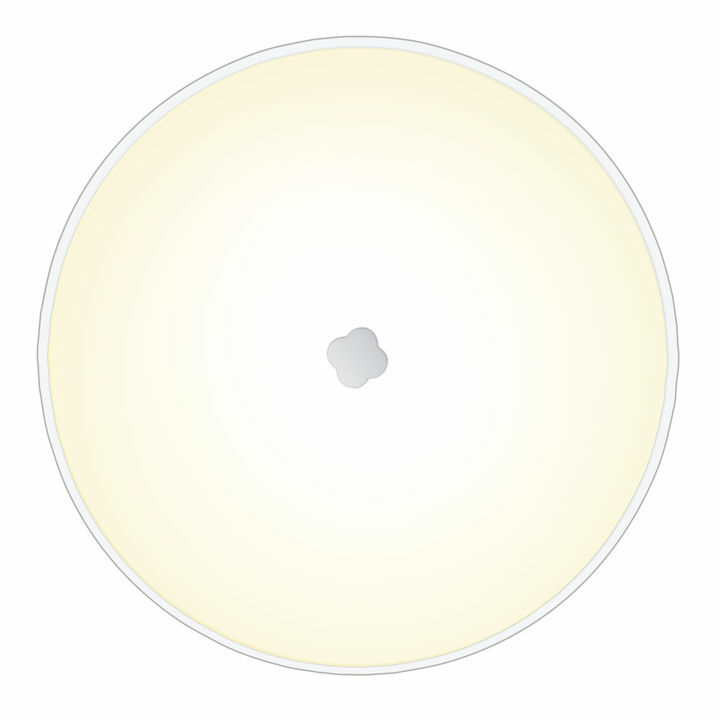 If you like a very bright kitchen, we'd recommend choosing dimmable LED E12 bulbs with a high lumen count (think 800 lumens or so) and installing a dimmer for a customizable experience. 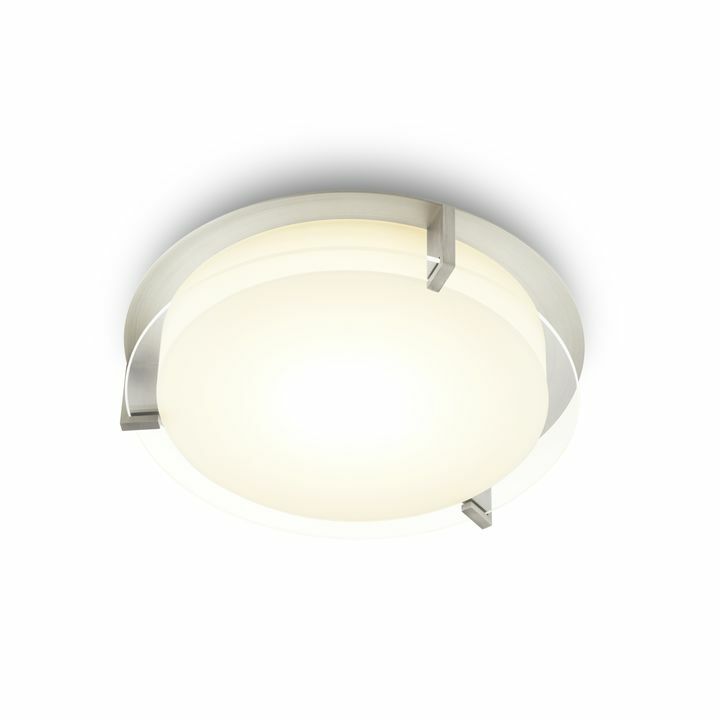 For more information about brightness and lumens, see this Lighting 101 article.